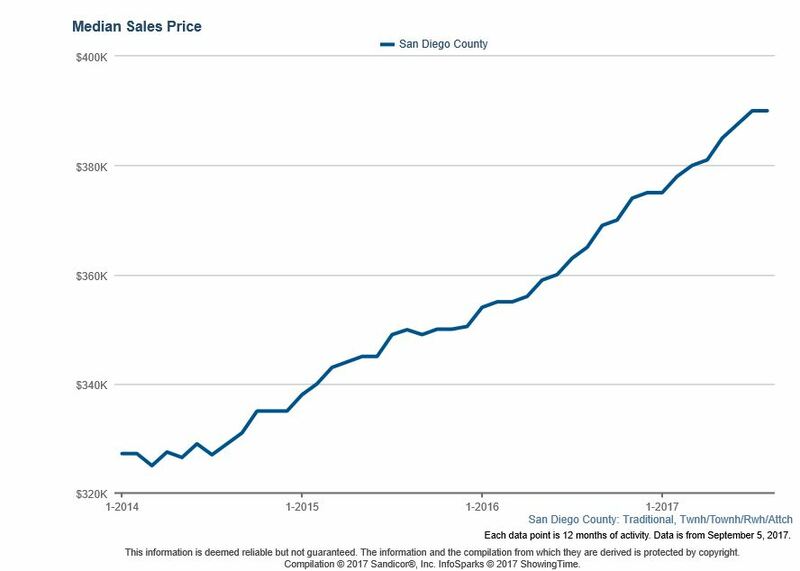 November’s San Diego real estate market in review: As of November 2017, the median detached home in San Diego County sold for $605,000 up 7.1% from the previous year. 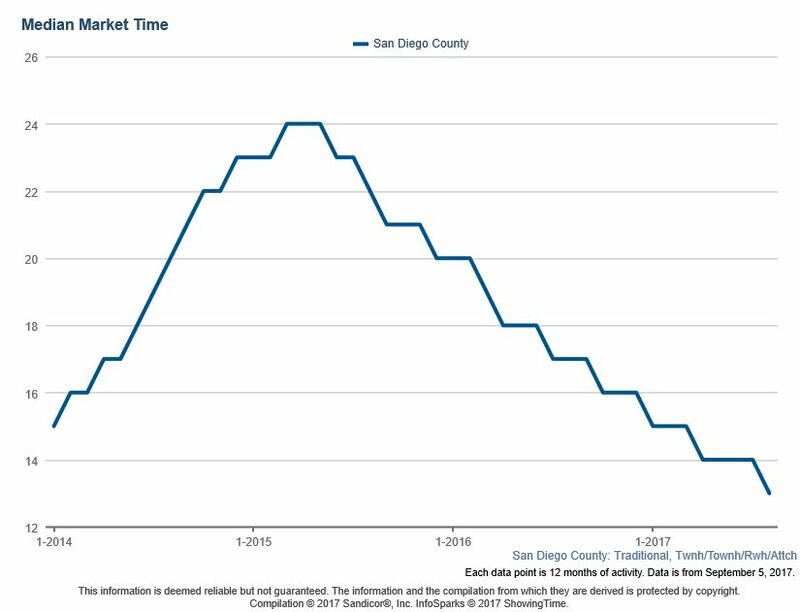 As of November 2017, the median attached home (including condos, townhomes, and twinhomes in San Diego County sold for $395,500 up 6.8% from last year. 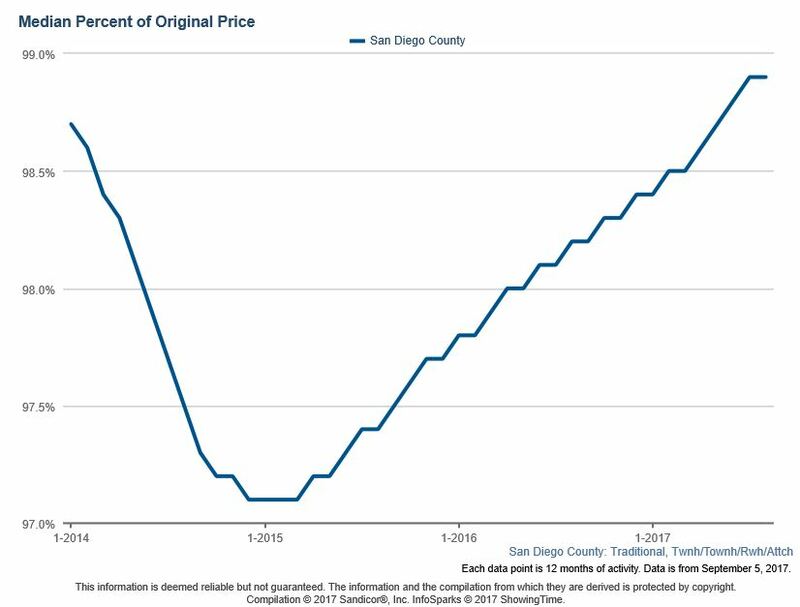 As of November 2017, the average seller of a detached home in San Diego County receives 97.4% of the original list price at the close of the sale. 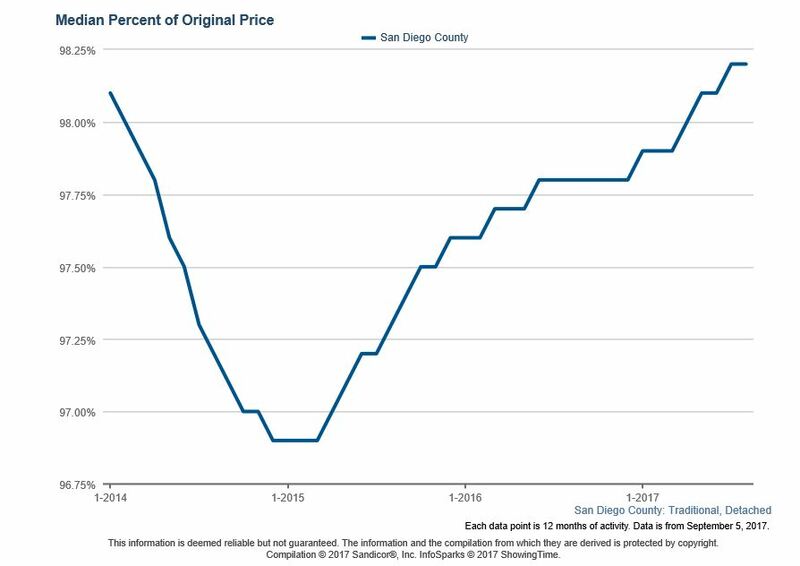 As of October 2017, the owners of attached properties (condos, twinhomes, and townhomes) retained 98.4% of the original list price. 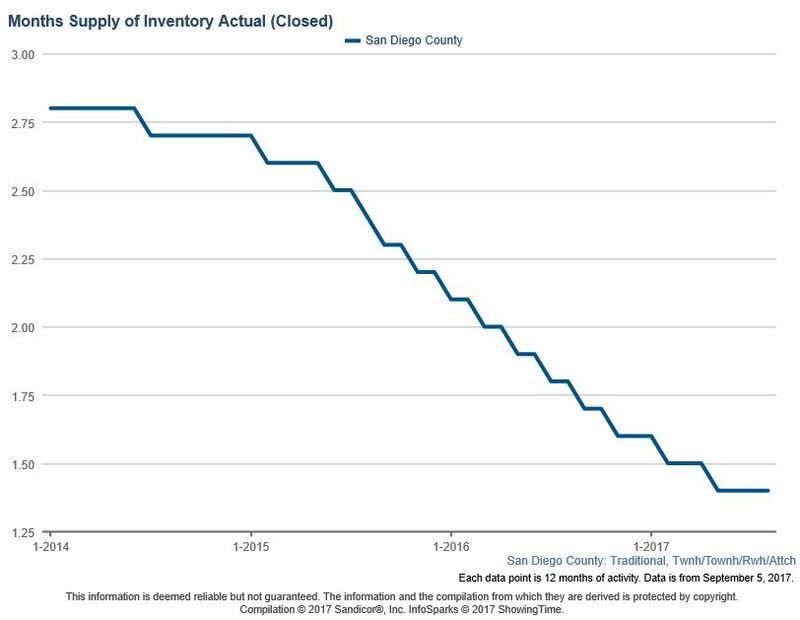 The inventory of homes in San Diego County is still low, which is consistent with what we know that inventory is very tight and not predicted to dramatically improve as we move further into winter. Beautifully kept home with updated kitchen, master bath with skylights & spacious living room, central heat and AC, and home comes with solar so you can run the AC all day long. Newer dual pane windows and a hard wired security system. There is a large private fenced backyard with a working hot tub and big storage shed. Sold for $450,000. Beautiful views with no one directly behind! Lovely single story home with open spacious floor plan. Living room features brick fireplace. Wood floors, ceiling fans, central air. Large master bedroom & bath with soaking tub & separate shower enclosure. Low maintenance backyard with patio area to enjoy. Close to freeway & shopping. Enjoy community pool. Sold for $445,000. Welcome to your new home at Alegre at Paseo Del Sol! Gorgeous nearly new tri-level condo with en-suite bedroom and full bath on each floor. Breathe in the fresh air on either the patio or balcony. This condo is highly upgraded and move in ready! Located in top tier school districts, and is nearby to local shopping centers, restaurants, and parks. No mello roos, low taxes, great access to the 15 freeway and beautiful wine country to the east. At only 18 months new, this home features new hardwood flooring. Sold for $383,000. Immaculate, remodeled 3 bdrm, 2 bath single level in desirable Fairway Knolls of Lake San Marcos! Spacious open floor plan with wood laminate floors, new paint & carpet, French doors, cozy fireplace & 2 tiled patios to enjoy golf course views. Bright kitchen boasts maple cabinets, granite counters & newer appliances. Master Suite is large w/walk-in closet, large vanity & soaking tub/shower. Community Pool & Tennis. 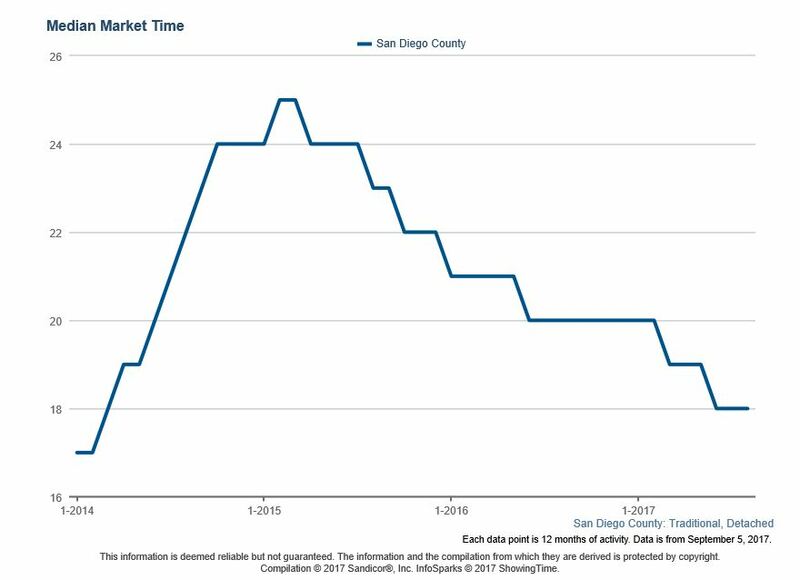 Near Golf Course, top rated schools, CSUSM, shopping & freeway. 20 minutes to beaches. Sold for $375,000. Outstanding Opportunity to own upgraded, move-in ready condo within walking distance of SDSU. Gorgeous Upgraded Tile Flooring which looks like wood, newer carpet in large bedrooms, updated kitchen w/ White Cabinetry and Custom Knobs, Custom Paint throughout, New Dual Paned Windows, and A/C. Full sized W/D in unit, covered parking spot and additional parking nearby. Short walk to Community Pool/Spa. Sold for $335,000. Amazing city and mountain views. Area of fine custom estate homes. Centrally located close to all yet secluded on a hilltop. 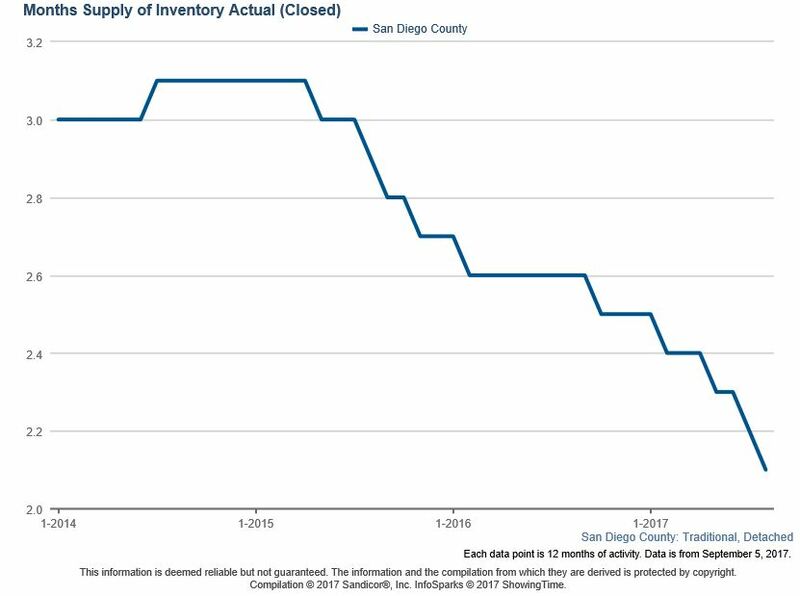 Flat property and very use-able. This is a property priced right and ready to go. Poway award winning school district. Bill Yen Poway own engineering firm has done the work to get this property ready for you to enjoy. What a fabulous place to build raise a family or retire. Sold for $335,000. Can you say new floors throughout, new cabinets, vanities, counter tops, stainless steel appliances and new vinyl windows and slider. A must see. 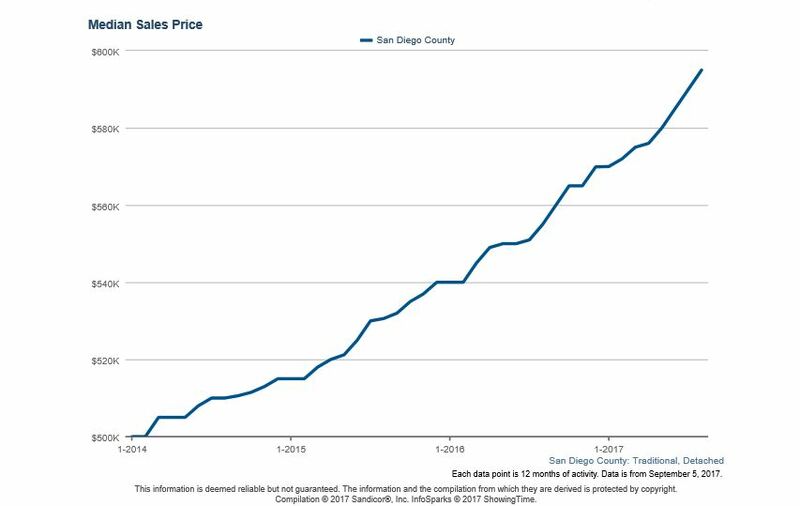 Very close to SDSU and easy freeway access. Extremely ample condo perfect for couple or family. Stop renting and enjoy pride of home ownership. Sold for $305,000. WASHER/DRYER HOOK-UPS IN UNIT! Nicely upgraded top floor corner unit! West facing unit with lots of light. Brand new laminate flooring throughout and all new paint as of April 2017! Kitchen w/ Granite counters, upgraded microwave & fixtures. Bathrooms w/upgraded fixtures. Beautiful French doors lead out to the patio/balcony. Crown molding accents the main living area. New bedroom screens. Community pool, clubhouse, laundry facilities & rec room! Close proximity to freeway access, entertainment & dining. Sold for $260,500. Last Of its kind, stunning .5+ acre view lot in the private, upscale, custom home community of Snow Creek. This lot sits atop and on the corner of Snow Creek and McDonald boasting westerly views of the mountains and neighborhood. This is a perfect site to build that dream home you’ve always wanted to build! Sold for $140,000.